Does anyone have a good photo of this early starter 26042 including the original “Rubber Coupling” drive assembly 291105? Could be placed on the forum here or sent directly via PM to me. Has the 26042 starter motor a wider cover band with a “cut-away” section, compared to the (smaller) cover band of the 26062? According various Lucas part manuals the 26042 has cover band 271578 with a cut-away section, possibly for easier access to the brushes. Both the rubber coupling type and the eclipse type are pictured in the Service Manual page P39. 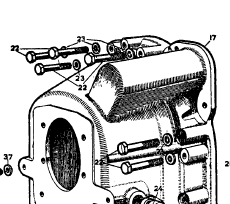 However, I think what you are asking about is the earliest starter motors which had a heavy round wire coil spring like this in the Parts Catalogue. This spring is smaller outside diameter, and the earliest bell housing C.2412 has a hump only just large enough to clear this spring. The later drive couplings will not fit in this bell housing. That is the reason for the detailed list of engine numbers associated with the two starters 26042 and 26062, and two bell housings, C.2412 and C.2412/1. The pushrod cars also used this spring drive. 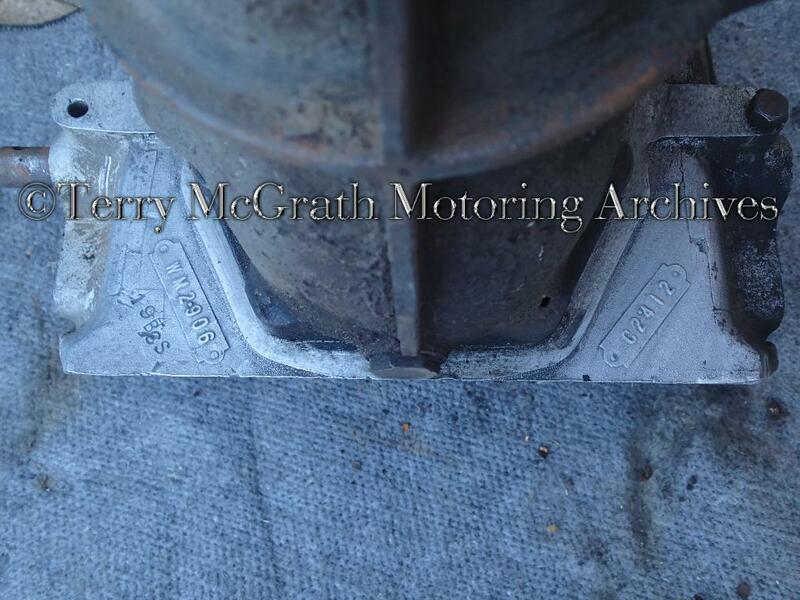 In fact the picture they used in the XK120 parts catalogue is of a motor for a pushrod car with 3 mounting holes. 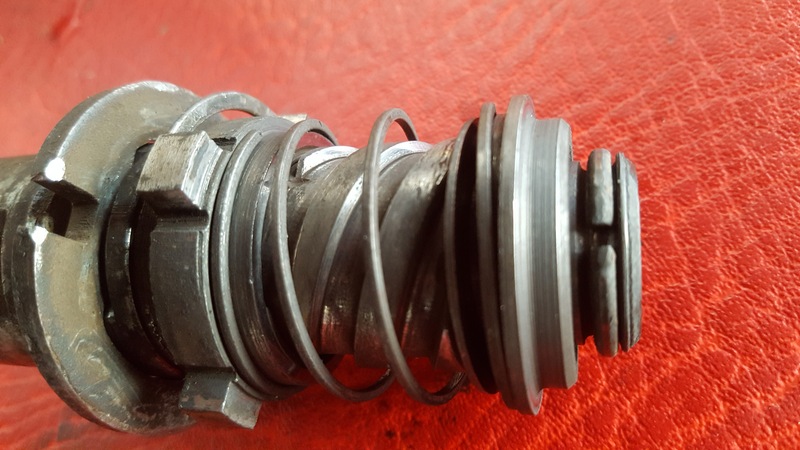 Thanks for your quick reaction, but I’m not referring to the starter motor as pictured, which is (I guess) the older (pre- and post-war) Lucas M45G with part number 270401. This version was (as far as I know) never used on the XK 120. It was specifically designed for use with the “Standard” based Jaguar/SS engines like on the Mk IV and V (but you’re more familiar to this particular subject than I am). I also understand that the spring of the driving was sticking through a hole in the Bell Housing. 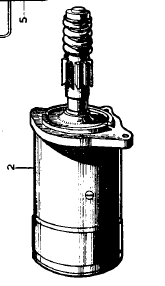 The XK 120 SPC lists specifically which cars used the Lucas 26042D/E starter motor. 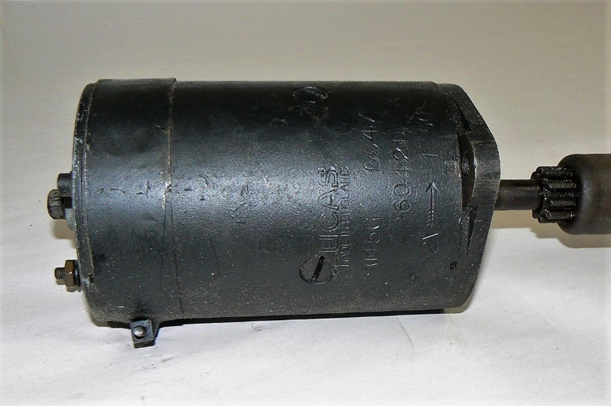 You are right that apparently this starter motor was only used in combination with the first Bell Housing C.2412, but this starter motor had Drive assembly 291105 which is the RE type with the rubber buffer and not a large spring. A similar engine numbers match is found for Bell Housing C.2412/1 and the use of the later starter motor 26062A with the Eclipse drive type. The reason for the modification of the Bell Housing might well be the starter drive but then the Rubber Drive 291105 must have been longer (wider?) than the later Eclipse drive 201308, but I haven’t found any evidence yet. Coming back to my question: looking for a good picture of the 26042D or E with the original Rubber Drive attached. 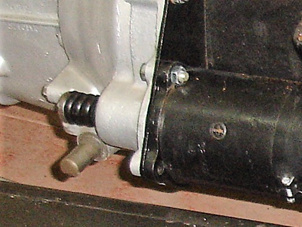 I only have a photo of the 26042D starter motor (dated January 1950) but the original drive assembly has been replaced by the later Eclipse version. And then the other question about the cover band: was there really a cut out section in this band? 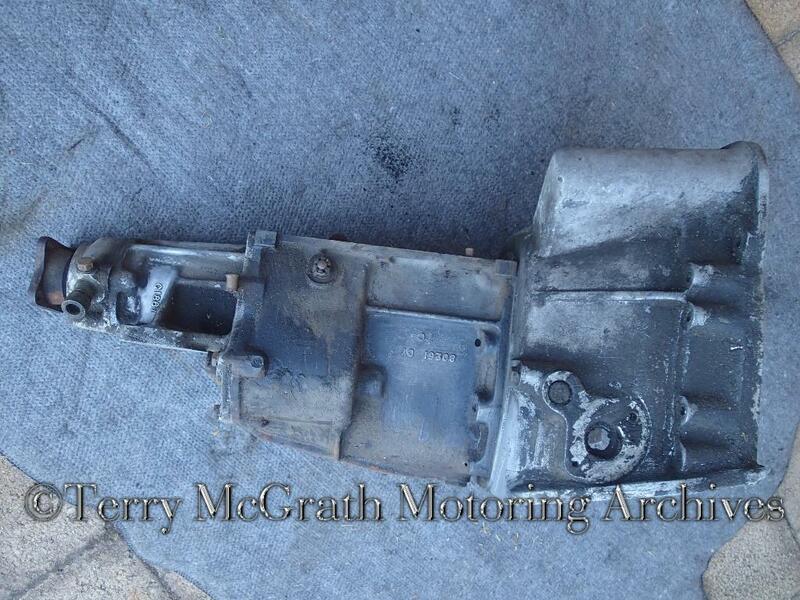 there is an early, early starter motor fitted to only a handful of very early alloy XK120’s. This version has the main casing with the machined lines and is nickel plated as per the special equipment generators. I have not seen one of these out of an XK120 but do have one from a MKIV with the heavy duty round section spring that has the nickel plated housing. I will dig bits out and send photos. Urs Schmid has pictures of the rubber drive in Vol 1 pg 166 photos 1 & 5. Perhaps my memory is going but I think I once saw a 120 starter with the round wire section spring as shown in your picture of the pushrod engine. Anyway the “straight hump” bell housing is in Urs Vol 1 pg 128. With this one the flat wire section spring drive (pg 166 photo 6) will not fit. The “stepped hump” bell housing is in Urs Vol 1 pg 131. With this one the flat wire section spring drive will clear the flywheel and fit. Being my usual irrelevant self. The material under the band covering the holes for the commutator on both Starter and generator is called “Elephantide” and is still available. Suppliers can be googled. The 270401 had a drive-end bracket with 3 bolt holes and doesn’t fit the XK 120 Bell Housing with only 2 bolt holes. But it is possible to convert the 270401 to fit the XK 120 by changing the DE bracket and armature + drive. I guess that also Lucas realized that the Rubber Coupling drive was a mistake and had a replacement ready by March 1950 (Eclipse Drive). Thanks for the survey. The first 2 Bell Housings are (most likely) related to the switch-over from starter 26042 to 26062. Jaguar gives a detailed survey of all chassis numbers for the Bell Housings as well for the starter motors, so we may assume there is a relation. Unfortunately, I don’t have Urs Schmid’s book (and probably will not buy one anymore as prices of even used copies have become silly…). So the difference between C.2412 and C.2412/1 is the “hump” for the starter drive: from “straight” to “stepped”. I assume that the picture in the XK 120 SPC presents the early “straight hump”. Still unclear how this change relates to or affects the introduction of the “Eclipse” type of Drive. The only reason I can think of is that the later starter motor fits the early Bell Housing, but the early starter motor (with Rubber drive) doesn’t fit the new Bell Housing C.2412/1. Do you agree? Every contribution is relevant, in particular when one is gathering all information on the subject of “starter motors for XKs”. My first reaction would be that this insulation material is (what we call here) “hard paper”: special paper, sometimes reinforced with cotton, soaked in phenolic resin and cured in an oven. Found the description of Elephantide Grade 4, which is more or less identical to my description. The fact that they indicate that “ït has been continually produced for over 60 years” is another clue. So the difference between C.2412 and C.2412/1 is the “hump” for the starter drive: from “straight” to “stepped”. I assume that the picture in the XK 120 SPC presents the early “straight hump”. Yes, the straight hump is shown in the SPC. But the SPC gives engine numbers, not chassis numbers, for the change from bell housing C.2412 and starter 26042, to bell housing C.2412/1 and starter 26062. But no, it is the opposite; the early starter 26042 with the smaller diameter rubber drive fits the early bell housing C.2412 with the straight hump. 872 engines used this one, although for unknown reasons W1366 is missing from the list. Actually the hump is sort of tapered, and this is the reason the eclipse drive doesn’t fit and cannot be used with this straight hump bell housing. The later starter 26062 with the larger diameter eclipse drive fits the later bell housing C.2412/1 with the stepped hump. 735 engines used this bell housing. Then followed the 3rd bell housing C.4829 with stepped hump and eclipse drive, used on 1793 engines. And the 4th bell housing C.5068 with stepped hump and eclipse drive, used on all the rest. Thanks for these corrections, Rob. Engine numbers of course! Checked with photos of various Bell Housings and the “step” is indeed an enlargement of the cavity of the “Hump” over half of its length. So your conclusion is correct: the “stepped hump” was introduced to fit the larger “Eclipse” drive. That leaves only one question: what did owners of these 872 XK 120 engines do when they had to replace the starter motor or starter drive? Another “Rubber” drive? Or perhaps convert the old Mk V starter (Lucas 270401) with the smaller drive, replacing the drive bracket with 3 mounting holes for the one of Lucas 26042D/E with 2 holes? And then we’re back to your first statement of “earliest starter motors which had a heavy round wire coil”. You may well have seen a converted starter motor on an early Bell Housing C.2412. 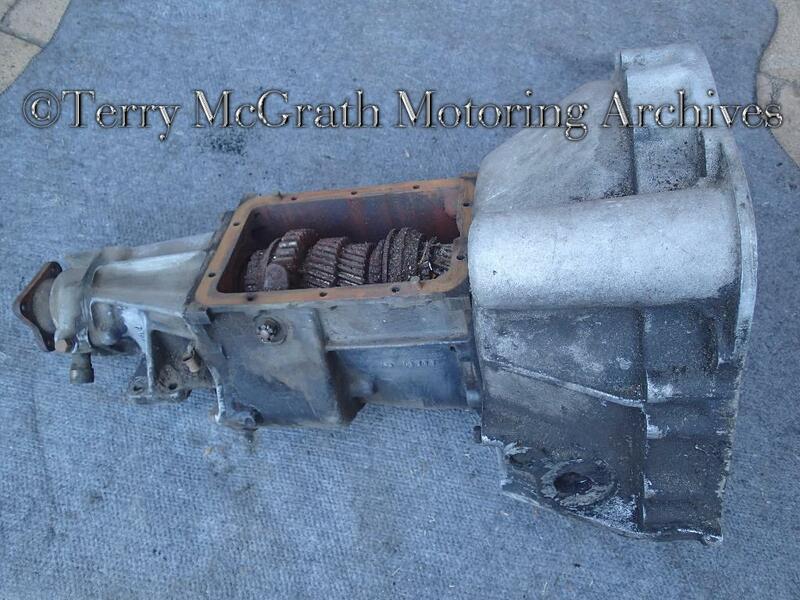 Attached pics are of one of the first 10 XK120 bellhousings made and it is the original part number C2412. The early bellhousings had the engine number stamped into them. Beautiful pictures Terry! And even the part number is clearly visible. The part number and makers casting numbers and other stampings close up! I think the basicstarter motor on the 3.5 litre is the M418G (4.18"
diameter) but when the M45G (4.5" diameter) then the adaptor plate is required. My Lucas parts book only shows that 418 starter motors were on 2 1/2 and 1 1/2 litre cars And these cars had a smaller flywheel and s the strater motor sat in clser to the block. And so had a different bel hosing and steel rear engine mounting plate. The ‘Drive Pinion & Barrel’ from my '57 XK140Lucas 62062A has tired teeth and flywheel scoring on the front face. The circlip groove on the tip of the ‘Sleeve & Drive head’ seems quite worn and I’m wondering if this is the cause of the scoring. You mention “the Starter Manual P39” in your post and I would be interested to have a look at this document to try to understand more about my Unit’s fault. 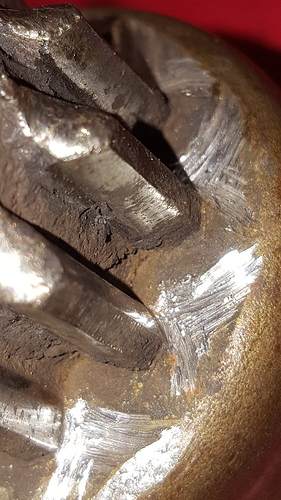 Hello Adrian, the “click … no action” in a starter sometimes is easily enough overcome by spraying a light lubricant, such as Kroil or WD-40, liberally into regions where sliding motion occurs in the starter. Tapping starter with a rubber mallet may help. This method may free gummed-up bits to move either in a few minutes or next day. It was Rob (Reilly) who referred to the Service Manual page P39 but he just points to the fact that both starter pinion types we discussed, are pictured in there (which doesn’t help you I guess). Looking at the scoring marks on your pinion it looks like the pinion is in “heavy” contact with the teeth on the flywheel which can only occur during engaging of pinion and flywheel. Remember that the pinion is behind the flywheel when in rest and pulled back when the starter is activated. So the backside of the teeth on your flywheel should show quite some damage as well. Are you certain that your pinion is of the correct type (10 teeth)? I’ve seen cases in which a different pinion is used with e.g. 9 or 11 teeth which will cause damage as you can imagine. From all of the pictures I’ve seen my 10-tooth drive pinion is correct but I’ve seen no dimension-ed drawings as yet. All the parts of the Eclipse looks ‘ok’ to me except the tip of the main shaft. The circlip and it’s groove look worn (and have created a flange that prevents further dis-assembly), which I think will allow a lot of float (perhaps 2.5mm) in the fully-engaged horizontal end-position of the drive pinion, causing the scoring. I don’t have any reference material explaining in detail the design/method of the Jaguar Eclipse drive action, nor any details showing design dimensions and tolerances of these innards. Hence the call to the experts!